Mike and Emma got married in 2008 after ten years together and now have a nine year old son and four year old twins. They were both born and raised in Cumbria and The Lake District. If we are not working we can often be found enjoying the Lake District, especially Ullswater with our children. 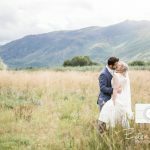 We have a good local knowledge of wedding venues and locations around the Lakes for photo shoots. 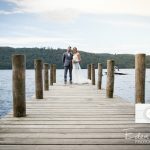 Mike has nine years experience of professional wedding and portrait photography in the Lake District and Cumbria. Mike has an informal, reportage style of photography, unobtrusively capturing the day how it happens along with requested formal photographs. Emma deals with all the paperwork and correspondence. She will be the first port of call for any enquiries about your photography. Emma is happy to answer any questions you may have either before booking with us or before your photo shoot or wedding. No question is too small! Congratulations, you are getting married! Planning a wedding can be a fun, exciting, bonding experience but it can also be overwhelming and stressful. 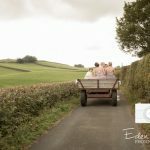 We will take the stress out of your wedding photography, we are on hand throughout the planning to discuss your wedding with you, we will answer any questions you may have.